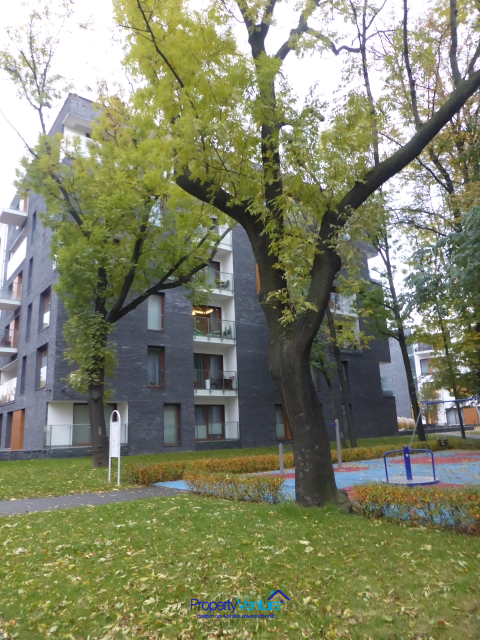 At the heart of the city of Krakow you will find this apartment complex. 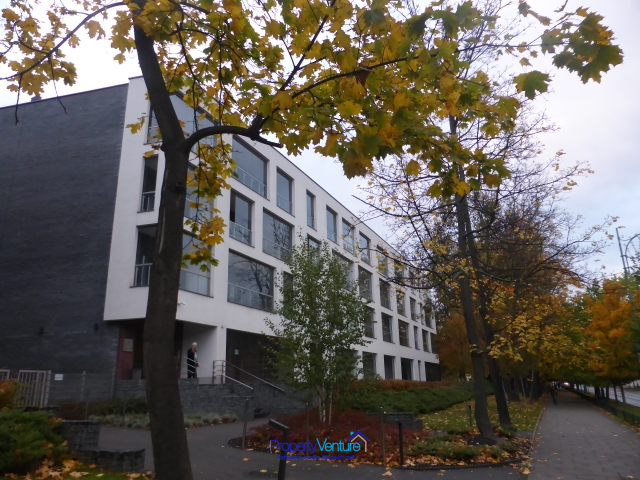 Near the central train station and within walking distance of the Rynek Glowny, in a fabulous location near the University campus and the Botanic Gardens. A city that was the capital and Royal seat of Poland for centuries, it also bore the title of "European City of Culture” in 1992. The heart of the city is the Stare Miasto, the Old Town and its Jewish quarter which is very centrally located, called the Kazimierz. It is famous for its royal residence, Wawel Castle and is one of 12 places listed by UNESCO as a World Cultural Heritage site. With its compact central area, superb historic facades and delightful surrounding countryside, Krakow, nestling in the Vistula valley and the foothills of the Carpathian mountains, ranks as a unique monument and is without doubt the most attractive of Poland's cities. Krakow is also 70km east of the infamous Auschwitz-Birkenhau, the former Nazi concentration camp. It is a large university city and a favourite weekend break destination, with easy access through the numerous airports and airlines that fly here, as well as onto the largest of Poland's ski resorts, Zakopane. With low-cost flights to Krakow's international airport, house prices have risen because of investment by Irish, British and German investors. ‘N’ Apartment complex is composed of four buildings of varying heights (from 4 to 9 overground floors) which, despite their modernist character, naturally fit into the architecture of the city. Their layout resembles the traditional arrangement of Kraków buildings, which create natural inner courtyards, full of space and greenery. The roofs are covered by extensive greenery, which is part in keeping with the surroundings and part environmentally-friendly. 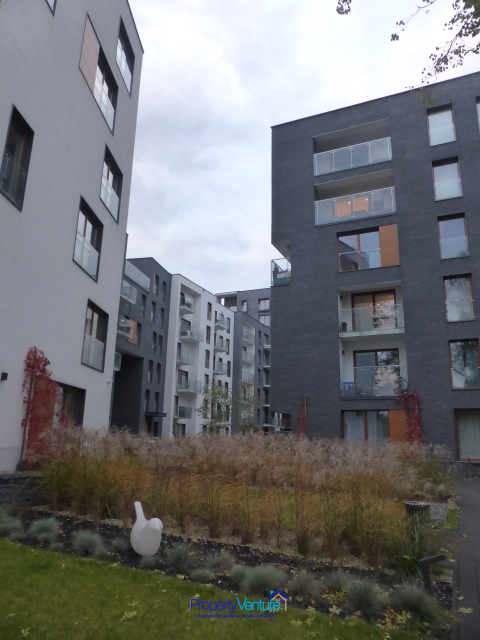 The residents have use of the common areas with landscaped greenery, paths and benches, a courtyard with ponds and two playgrounds for children. In addition there is underground parking and a garage hall also contains storage rooms. Entrances to the staircases are located off the inner courtyards and not off the street, which provides a more convenient means of accessing the buildings for the residents, with each building having its own reception area. With big glass facades, each of the apartments is well-lit with natural light, and the high-end wooden window frames provide excellent thermal and acoustic insulation. An extraordinary large apartment on the fifth floor with views over this prestigious central location - with easy access to public transport, just outside the Old Town, within walking distance of the Main Square, as well as Galeria Krakowska shopping mall, University of Economics and famous Kazimierz. The apartment is located on the fifth (top) floor and comprises a spacious living room connected with a kitchen annex, 2 bedrooms, a bathroom and a walk-in wardrobe. It has a fully-equipped kitchen and the bathroom has a walk-in shower. There is also a south facing balcony with a spectacular view of the picturesque garden atrium and a lovely landscape of a church tower and the University building. Solid wooden floors in the living room and in bedrooms. High quality equipment in the kitchen annex. The apartment fit-out was created by a professional interior designer, encapsulating a classy modern design with high-end finishings. Each room contains its own unique lighting system, including a dropped ceiling and LED effect. The price includes all furnishings. Underground parking space and the shelved storage unit of about 4 sqm are an additional 50,000 PLN. an extraordinary apartment of 65 sqm, 2 bed on the fifth floor. Located in this luxurious investment, in the heart of beautiful Kraków. Fenced, monitored & secured area. Prestigious central location - with easy access to public transport, just outside the Old Town, within walking distance of the Main Square, as well as Galeria Krakowska shopping mall, University of Economics and famous Kazimierz. The apartment is located on the fifth (top) floor of a modern building with well-sized elevator. 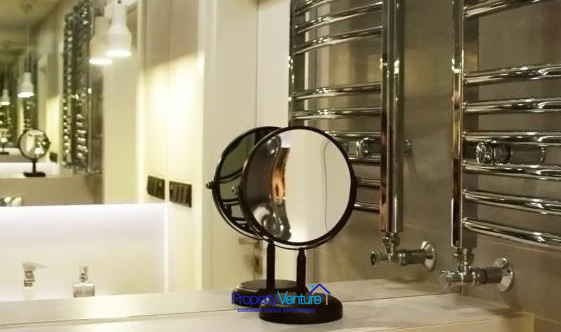 The apartment consists of a spacious living room connected with kitchen annex, 2 bedrooms, bathroom and walk in wardrobe. Furnished and fully equipped kitchen annex, bathroom with walk in shower. There is also a south facing balcony with a spectacular view of the picturesque garden atrium and a lovely landscape of a church tower and classic university building. Each room contains its own unique lighting system, including a dropped ceiling and LED effect. The price includes all furnishings. Underground parking space and the shelved storage unit of about 4 sqm at extra cost of 50,000pln.